SKU: MV01. Lid and doors closed. SKU: MV01. 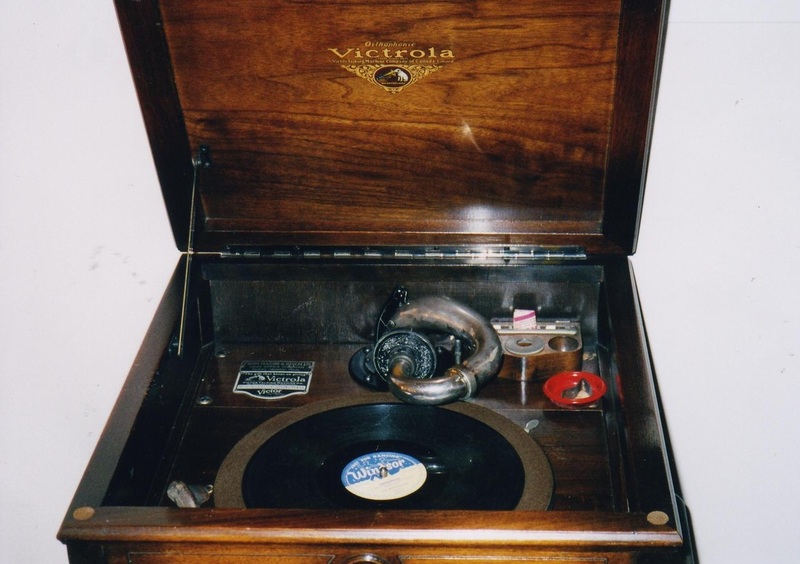 RCA Victor windup gramophone, plays 78 records. Mahogany: Quantity 1. Circa 1928. SKU: MV01. Top view of turntable. SKU: MV02 . Edison table top gramophone (large). Shown with small black & brass horn. Oak: Quantity 1. Circa 1900. SKU: MV02 . 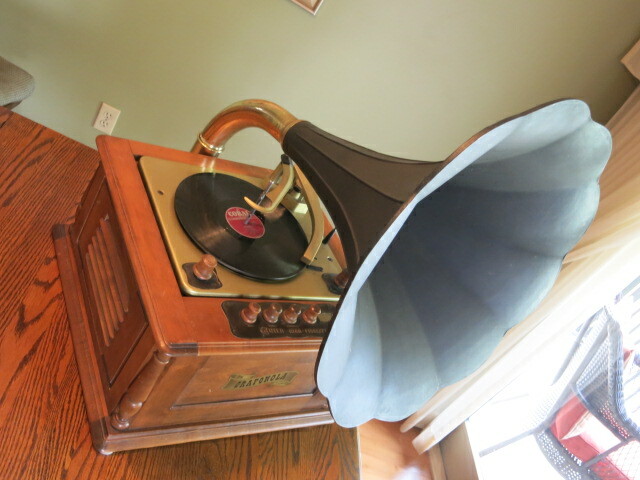 Edison table top gramophone (large). Shown with large black flower-shaped horn. Oak: Quantity 1. Circa 1900. SKU: MV03. 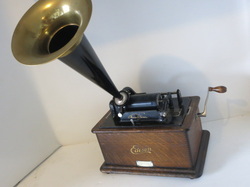 Edison table top gramophone (small). Shown with black and brass horn. Oak: Quantity 1. Circa 1900. SKU: MV04. 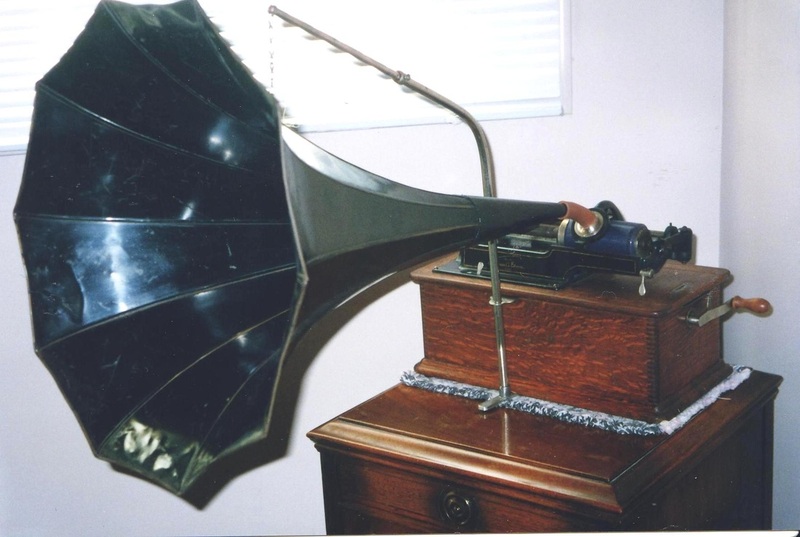 "Grafonola" gramophone with legs. 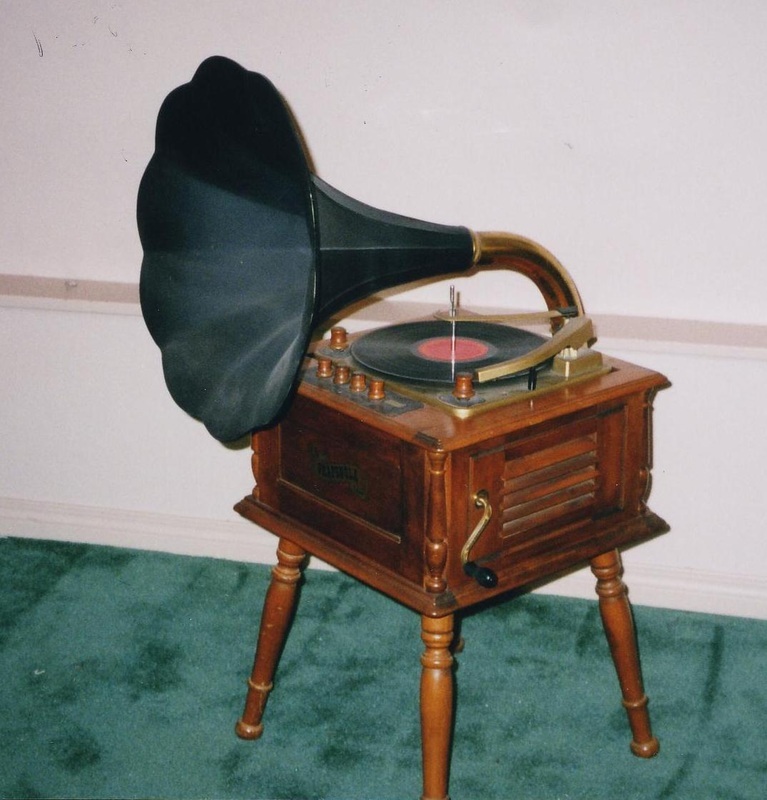 Plays 78 records. Maple: quantity 1. 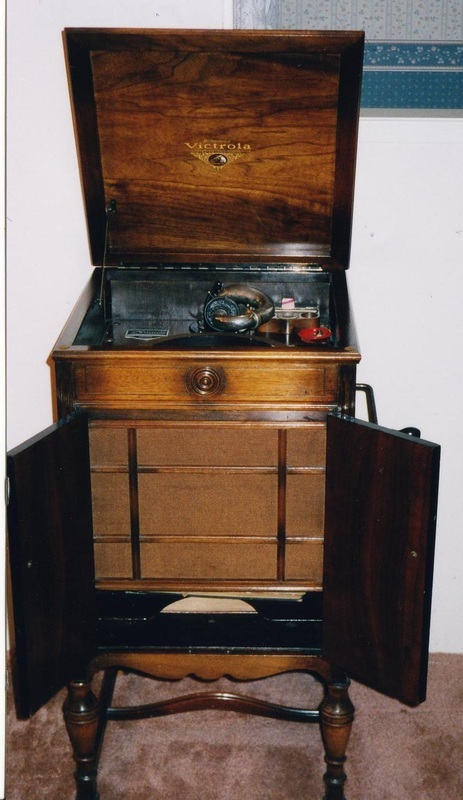 Reproduction manufactured 1950. SKU: MV04. 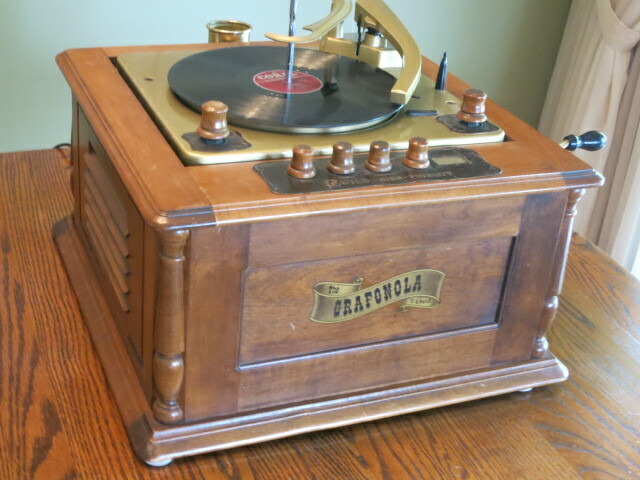 "Grafonola" gramophone - table top version. Maple: quantity 1. 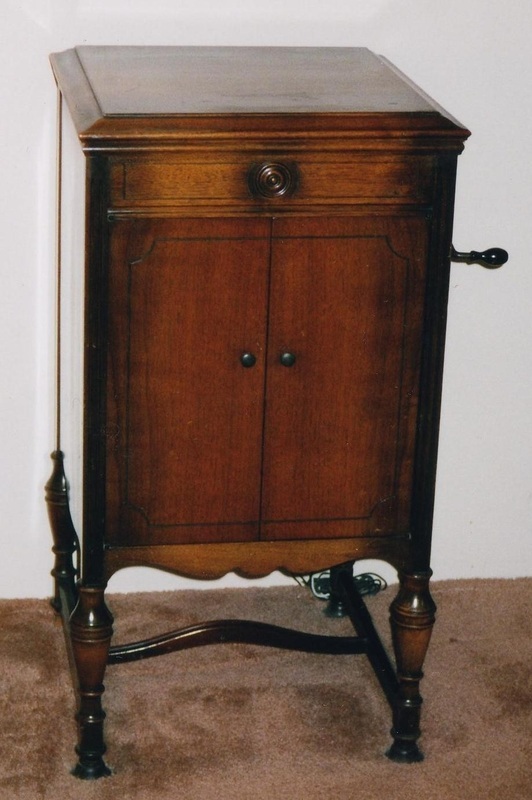 Reproduction manufactured 1950. SKU: MV04. 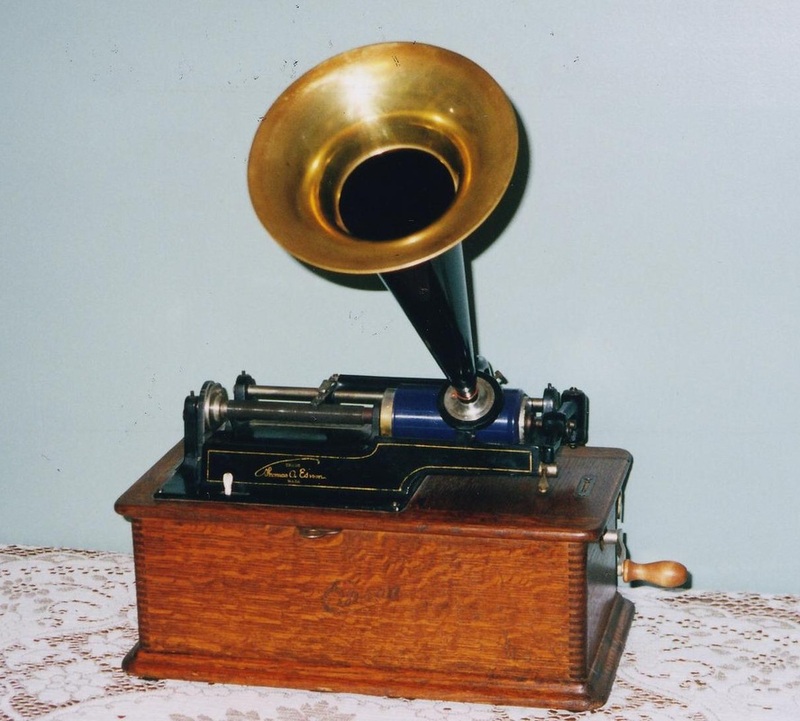 "Grafonola" gramophone shown with horn. Reproduction manufactured 1950.